Food+Tech Connect and GRACE Communications Foundation present Hacking Meat, an online conversation exploring how information and technology can be used to hack (or reimagine) a more sustainable, profitable and healthy future for meat. 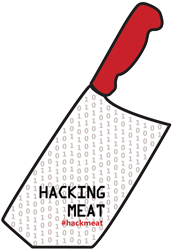 Join the conversation and share your ideas or product requests in the comments, on Twitter using #hackmeat, Facebook , or Tumblr. It is not always top of mind to link the composition of food to the outcome(s) of cooking and the pleasure(s) of eating. However, in “simple” systems, such as dairy cows, their diet has radical repercussions in the quality of milk (e.g. when eating grass, as opposed to hay, the fatty acid composition of the milk fat changes and affects the appearance and taste of its butter); it would only be reasonable to assume that such a diet has impact on the quality of the meat. What is the relevant information that chefs (and home cooks) actually need to make the right decisions with regards to the purchase, handling and cooking of meat? The answer of course, is far from being simple. I wonder, for example, if diet affects the different muscles in the same way. Assuming everything else is the same, breed, age, pre- and post- slaughtering practices, cooking methods, etc., will a particular cut of meat, say the ‘fillet’, taste any different if the cattle was raised in California, Vermont or Argentina? If so, what are the drivers of taste? We need evidence to strengthen the case for terroir-driven deliciousness. Without over-simplifying the problem, I think most of these questions have chemical answers. 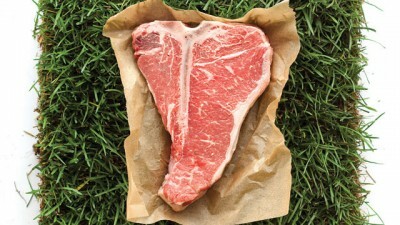 I find it hard to believe that a proper diet in California or Vermont will modify the protein make up in beef since the way these proteins assemble is encrypted in the genes. This is not to say that diet wouldn’t have a long term effect in gene expression. However, I think the fatty acid composition might be easier to tailor to taste – and we all know how critical fat is in taste. To move forward, a well-controlled, multi-disciplinary experiment that involves veterinarians, butchers, food chemists, chefs, sensory scientists and a taste panel is necessary. I, for one, put my name down for the latter. Dr. Cesar Vega is a passionate cook, food scientist, and author. 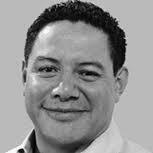 He earned his food engineering degree in Mexico, Masters in food science from the University of Guelph in Canada, Doctorate in food science from the University College Cork in Ireland, and culinary arts degree from Le Cordon Bleu. Dr. Vega’s professional experience includes work at such companies as Procter & Gamble, Unilever, Dippin’ Dots and Mars, Inc. As an accomplished author, Vega has co-authored the manuscript “Molecular Gastronomy: A Food Fad or Science Supporting Innovative Cuisine?” and is the editor-in-chief of the book The Kitchen as a Laboratory: Science Reflections Inspired by the Kitchen. Most recently, Vega joined the editorial board of the soon-to-be published International Journal of Gastronomy and Food Science.